I'm now well into month two of my Frigidaire Professional Dishwasher ownership and wanted to share with you how well it's been performing. I have to say my favorite feature of the dishwasher so far is how quiet it runs. You can barely tell it's even running...that's how quiet it is. There's a reason it was voted the quietest dishwasher in its class! ...I need to refill again! 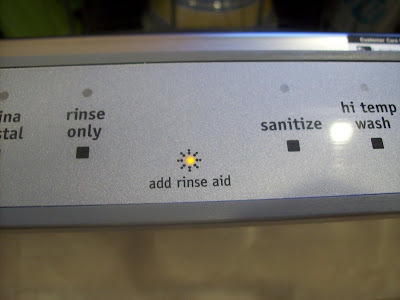 There's exciting news that just came out on Frigidaire's entire professional line of appliances. The EPA just awarded their prestigious 2010 Energy Star award to the line for their “Swap and Save” Energy Star Promotion. The award recognizes Frigidaire’s commitment to smart energy management and its efforts to share the importance of energy efficiency with a wide audience. In addition to the time-saving features, the new Frigidaire collections also save you considerable amounts of energy and water. 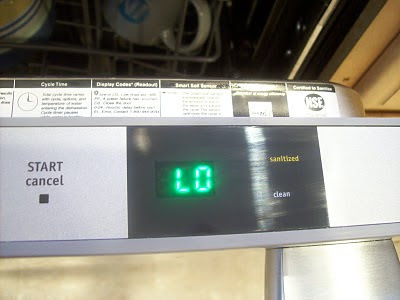 My dishwasher uses at least 41% less energy and 40% less water compared to dishwashers from just ten years ago. There's a really cool energy calculator on Frigidaire's energy savings page that you can use to find out how much energy, water and money you would save by swapping out your dishwasher for Frigidaire's.